#PlanWithMeChallenge – are you in? Have you recently gotten started planning, or are searching for ideas and inspiration on how to refine your system? Or do you have some great tips you use to get stuff done or set up a system? Let’s come together for the second month of the Plan With Me Challenge – hosted by Kim @tinyrayofsunhine … More #PlanWithMeChallenge – are you in? 4 Comments #PlanWithMeChallenge – are you in? How do I: Use apps? I love paper. I love technology. Both can be truths at the same time. Other things that are true for me: Paper is best when I personally need to rapid-log or get thoughts out to process. Paper is where I go to put chaos into order, or when it’s just for me. The nature of most … More How do I: Use apps? 3 Comments How do I: Use apps? One of my favorite friends and lifestyle blogger Bailey (The Daily Bailey B) has been enchanted by our Planner Community and immediately commenced to learning everything she could about Bullet Journals, inserts, and stickers. (It’s a spiral, I tell you) Anyway, she asked me a few questions that really reminded me there are a LOT of … More How do I: Begin?! 5 Comments How do I: Begin?! How do I: Add my personality to my planner? As I discuss in my set up post, I begin my planner system with very plain gridded/dot grid notebooks and draw in my weekly layouts. Since I essentially draw my whole bullet journal planner out, it is completely customizable the whole way through. 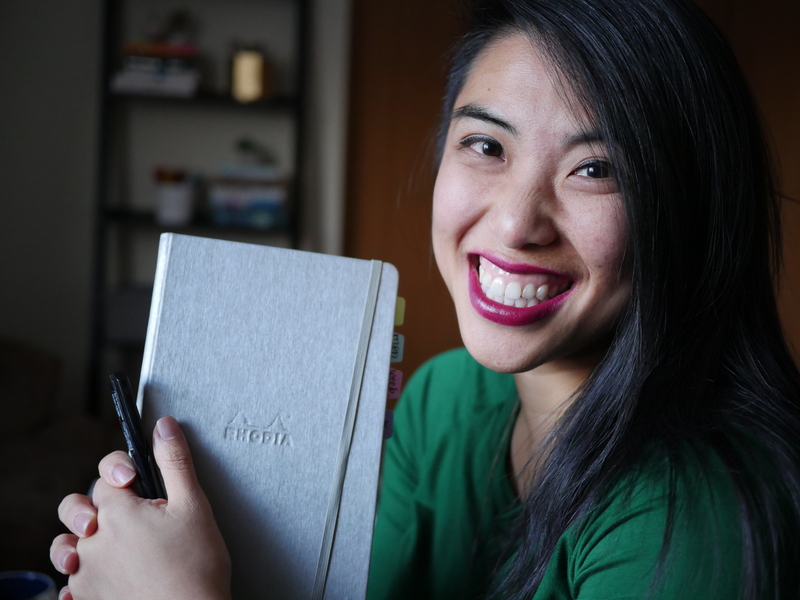 Here are a few ways I add personality to my simple planner: My Notebook cover. … More How do I: Add my personality to my planner? Leave a comment How do I: Add my personality to my planner? How do I: Plan for the week? The Day? Everyone has their own ritual about planning – where, how, with which tools, eating what. If you’ve ever taken the Gallup StrengthsFinder, you’ll be familiar with their 34 “Strengths”. Everyone has a Top 5 unique to them. No one should be surprised that I have strengths of Arranger (can hold many ideas and threads at one … More How do I: Plan for the week? The Day? 9 Comments How do I: Plan for the week? The Day? How do I: Take notes? Sketchnotes! So as my IG handle suggests, paper is a pretty broad topic – and that was intentional because I love many things paper-related, and wanted to keep my options open so I could talk about things like sketchnotes. What are sketchnotes? At the core, it’s a visual way to capture ideas, outside of the standard line-by-line notetaking. … More How do I: Take notes? Sketchnotes! 7 Comments How do I: Take notes? Sketchnotes! UPDATED 8/2/2015 7:20AM with a few more rules – In Chinese culture, the number 888 means a lot of luck – the number “8” is pronounced similarly to the word for Fortune and luck. My parents always pointed this out so it’s stuck with me – so it was pretty awesome to hit 888 followers … More #PlanWithMeAugust Giveaway!